Frontline hero! Prince Harry has revealed details of his incredible summer in Southern Africa, where he joined one of the world&apos;s biggest wildlife conservation projects to move 500 elephants to a sanctuary. 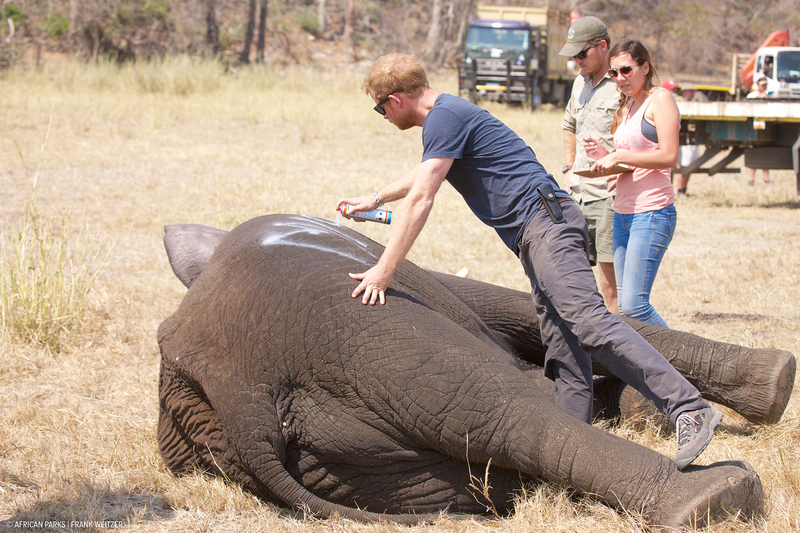 Pictures and video released by Kensington Palace on Friday, October 28, show the prince hard at work in Malawi, helping conservationists relocate the animals to safer homes, away from the dangers of poaching, overcrowding and starvation. 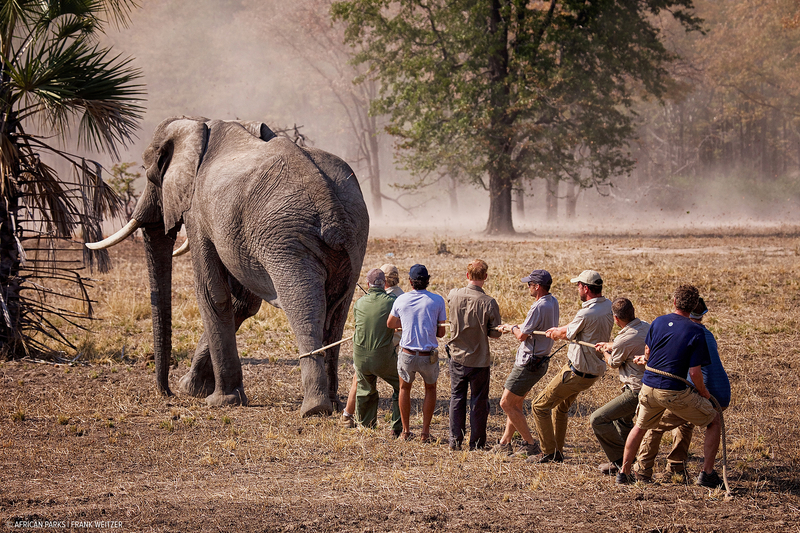 In one shot, Harry can be seen leaning over a tranquilized bull elephant and spraying an identification mark on its giant body before it&apos;s moved to a safer location. "To be with elephants, such massive beasts, is a unique experience," he said in a video of his time working on the project. "In a weird way, they know we are here to help. … they are so calm and so relaxed." African Parks, which manages protected areas and national parks on behalf of governments in the region, has been overseeing the project and also released a video showing Harry hard at work with its team of volunteers, vets and experts. Harry — who has often spoken of his love of being in Africa — explained, "Human populations in southern Africa have increased annually by an average of 1.16 percent from 1960 to today, from 73 million to 320 million. There is no question at all that Africa’s wildlife will be increasingly susceptible to growing human populations and their requirements for land. 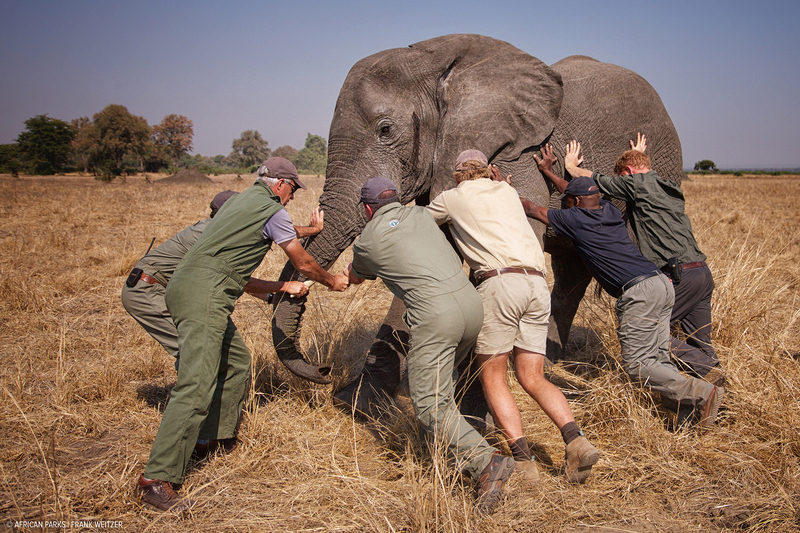 “Elephants simply can&apos;t roam freely like they used to. … To allow the coexistence of people and animals, fences are increasingly having to be used to separate the two, and try to keep the peace. … There has to be a balance between the number of animals and the available habitat. Just how nature intended it." 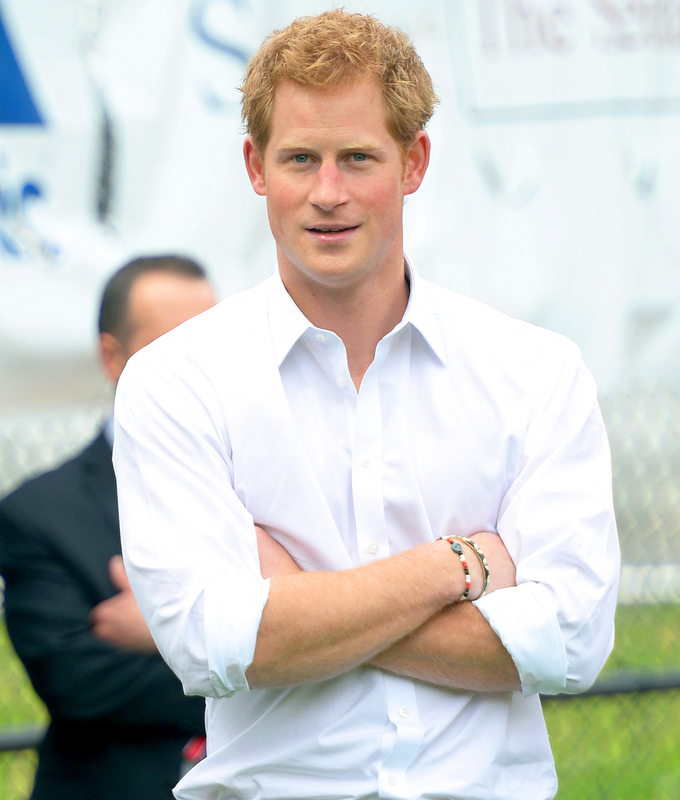 The subject of animal conservation is something dear to Harry&apos;s heart. Last year, he spent three months with antipoaching teams in Africa. "Elephants are one of the cores of Africa," Harry explained. "You can’t imagine anywhere like this existing without elephants." 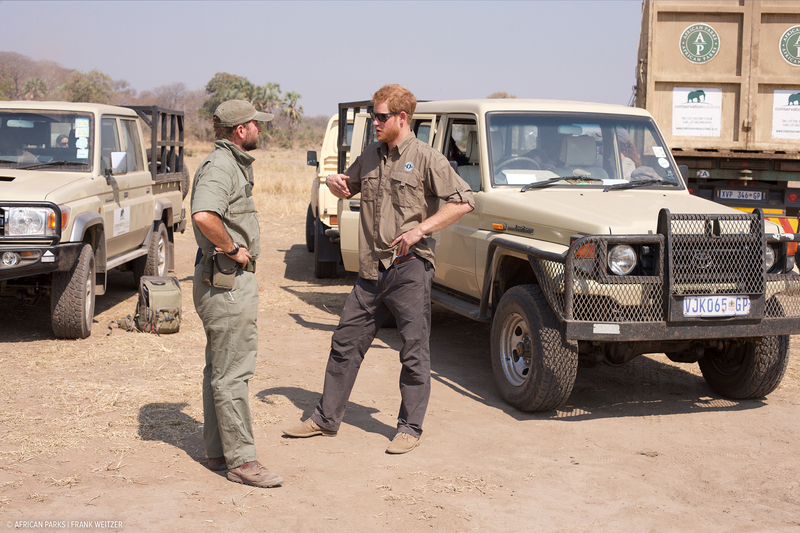 During his trip this summer, Harry also helped with relocating a male rhino, antelope, buffalo and zebra. In addition, he assisted in fitting three lions in Majete with GPS collars to monitor and better protect them. A spokesman for the royal tells Us, "He wanted to release the video and photographs, to which he has written personal captions, to draw attention to this important work and the incredible scale and ambition of the project."